[ John Sparrow, Warden of All Souls, Oxford, bibliophile. ] 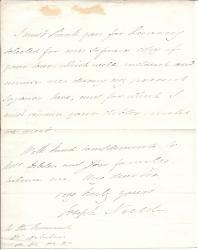 Typed Note Signed and Autograph Card Signed (both 'John Sparrow') to Wimbledon bookseller J. H. Dingwall. 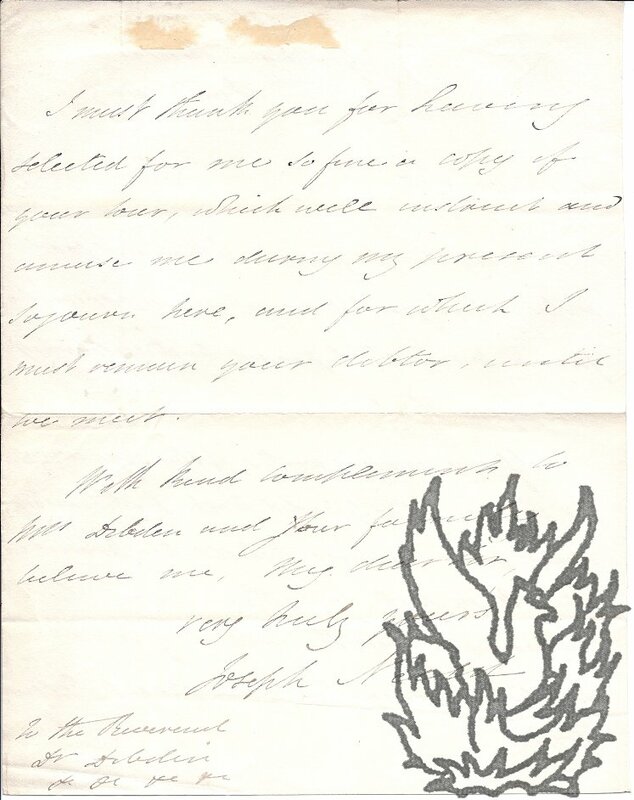 Both items on letterhead of the Warden's Lodgings, All Souls College, Oxford. Card: 3 February 1960. Note: 8 February 1960. 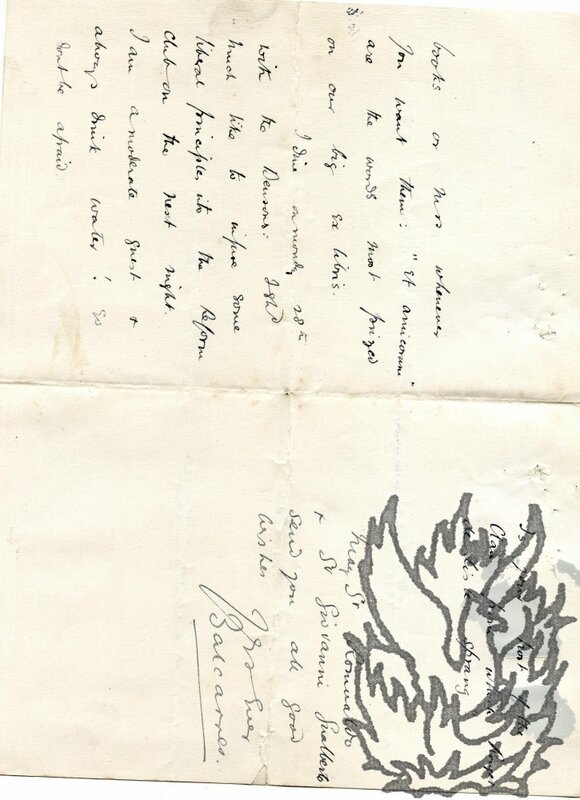 Autograph Letter Signed ('Balcarres') to 'Everard'. 16 October 1895; Haigh [Lancashire]. 12mo: 3 pp. Bifoilum. Thirty-six lines. Text clear and complete. Fair, on aged paper, with several pin holes, light spotting, and a 1 cm closed tear along a fold. A lighthearted epistle, beginning 'Dear Everard, Dear Everard | The Cistercians make an awful mistake in giving free meals. My Charity-organisation Society temperament rises in wrath: if they wd only apply the labour test for an hour or less - but free meals! I have watched the moral ravages of free meals and feel more strongly abt that kind of thing than about Home rule or Mediaeval Brases. Mathias (c.1754-1835), F.R.S., F.S.A., was librarian at Buckingham House and editor of Thomas Gray, &c. One page, 12mo. In good condition, although attached to sheet of larger paper by four wafers, all of which show through the paper. He asks his correspondent to accept 'a copy of a new edition of a little volume lately printed in Naples, entitled "Poesie Liriche, con l'Aggiunta di Saffo, Dramma lirico [...]'. Signed 'T. J. Mathias'. The work, by Mathias himself, went through various editions between 1810 and 1825.